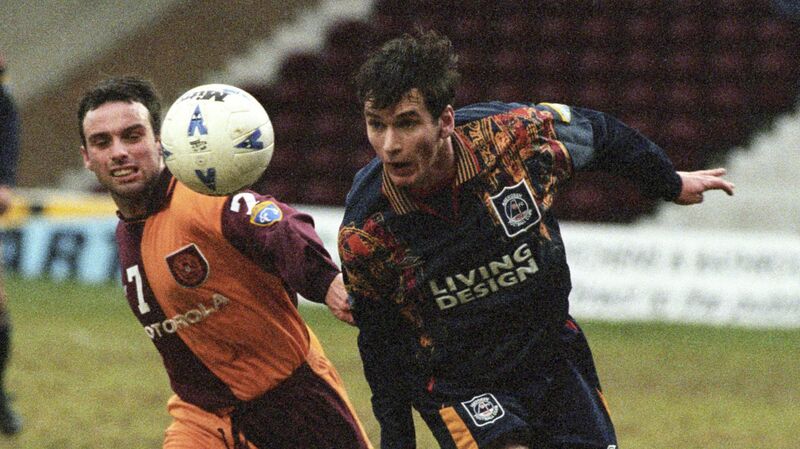 Aberdeen turned out in their blue strip at home, usually against Hearts and Dundee Utd to save any colour clash. 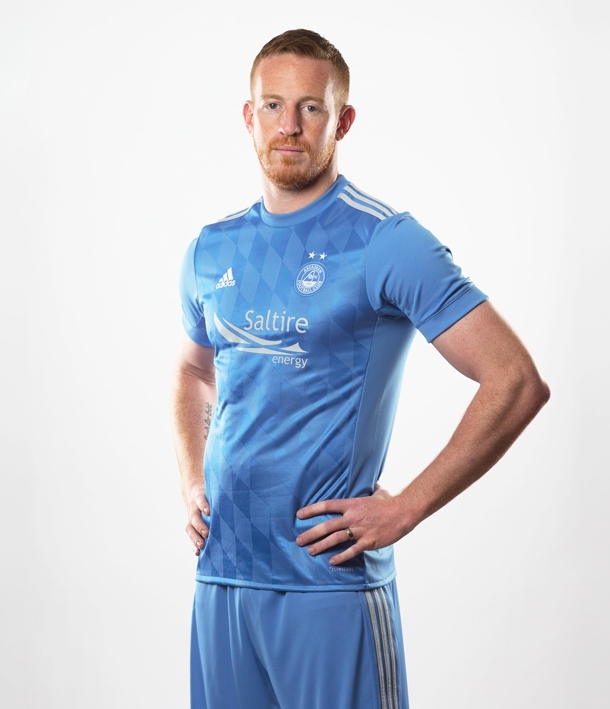 Prior to the formation on the club in 1903, two of the three sides who went on to amalgamate to form Aberdeen FC used blue prominently in their kit. Aberdeen (Original club) used blue shorts and socks from 1883 whilst Victoria United used an all blue strip. 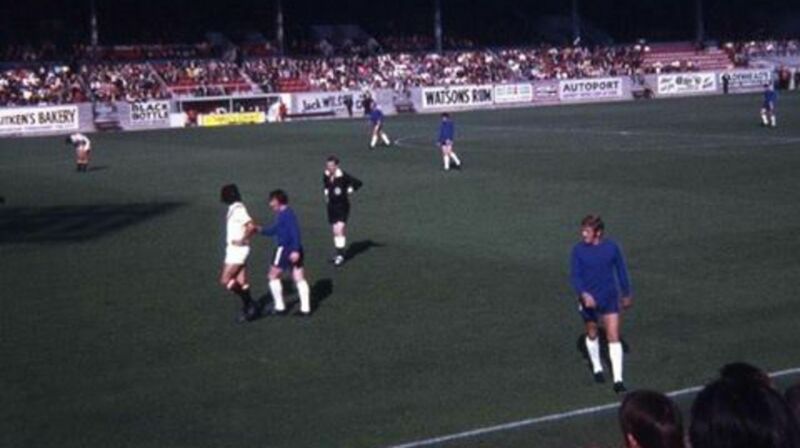 So it was no surprise during their first season of existence the Dons, formed by the merger of the original Aberdeen, Orion and Victoria United, wore a white shirt with blue shorts and blue socks were also chosen. 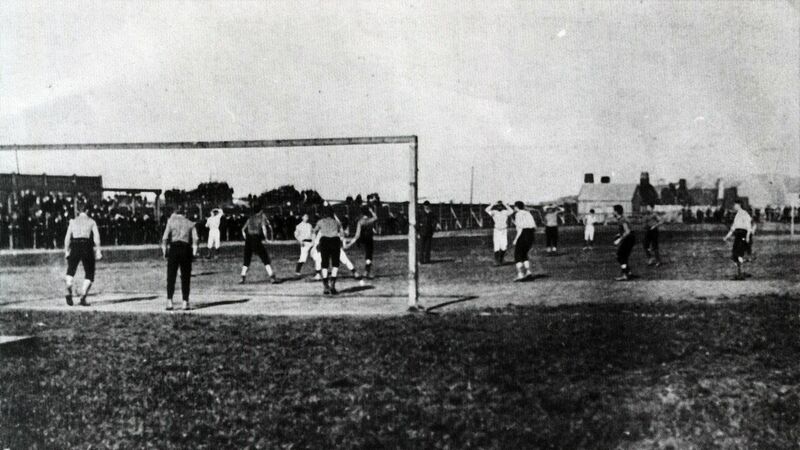 In their second season in 1904, when AFC were finally granted permission to join the Scottish League set up after years of frustration, Aberdeen changed the shirt to black and gold stripes. 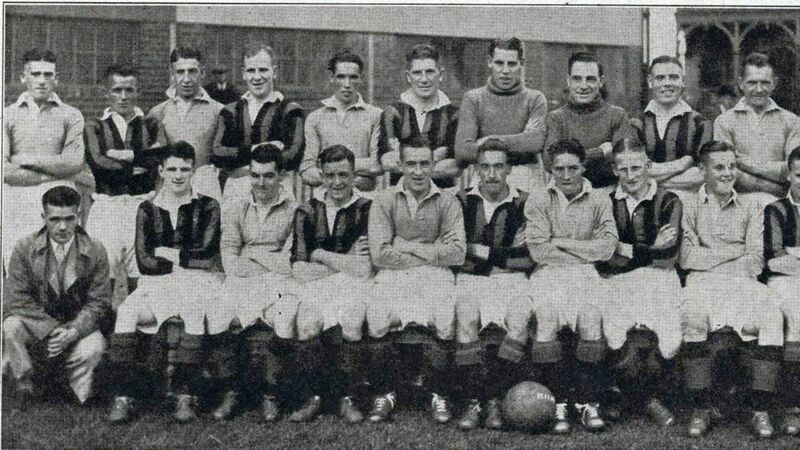 Their famed black and gold strip, which initially was not too popular with the players, certainly gained credibility in the latter years through to 1939 when Aberdeen changed to their traditional red. 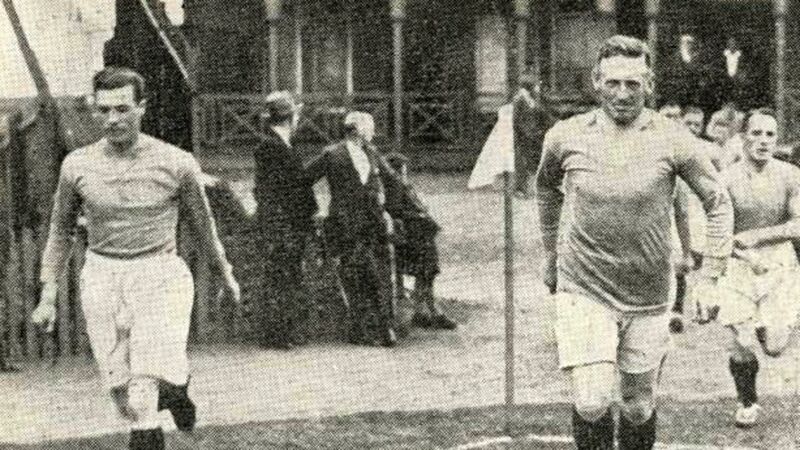 There are photos from the 1930s showing a blue 'second' kit being in existence although we are not sure whether this was ever worn in a first team game. Our research shows a blue home kit was worn on the 22nd March 1947 in a tie v Hearts - white sleeves with that one. There is a match report on the AFC Heritage Trust website documenting this. Back in 1985 adidas incorporated a thin blue line in the collar of their new kit and in the home kits blue was used heavily in season 1994-96 (the Umbro Northsound one) and 1996-97 (Puma, Living Design). 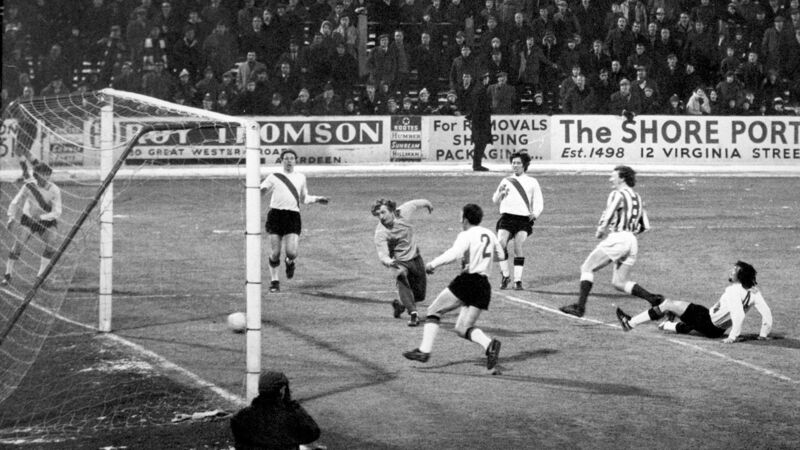 Although Aberdeen have stuck with red as their primary colour and over the years traditions have been set in those famous red tops, there have been some radical 'changed' strips through the decades. 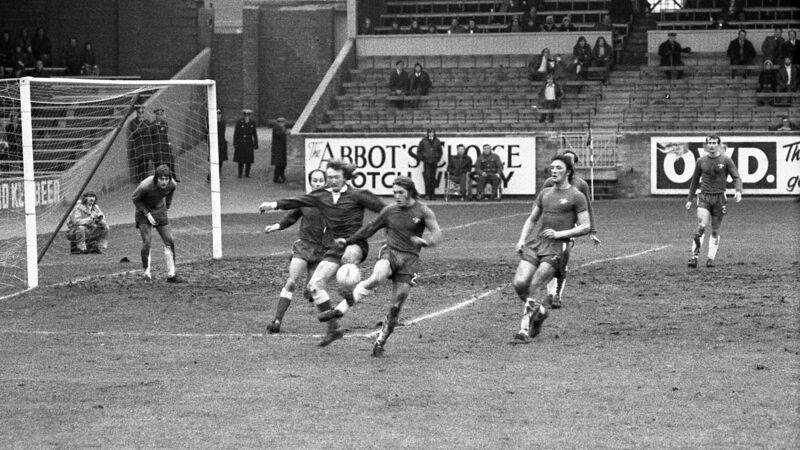 In the 1960's the Dons reintroduced the blue as an alternative kit. 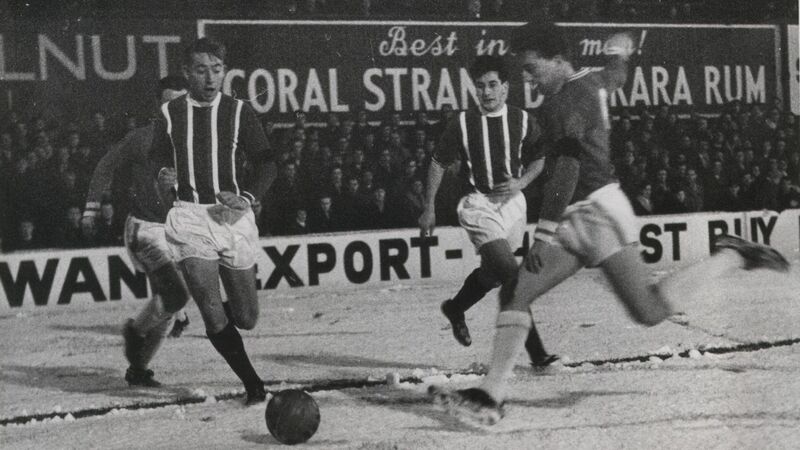 Aberdeen turned out in their blue strip at home, usually against Hearts and Dundee Utd to save any colour clash. In the early 60's (around 196 2) they wore a blue shirt with a white V neck and a white sleeve. By the mid 60's it had been altered to be a blue shirt with white and red stripes. Both kits were a lighter shade of blue and were popular with the players. 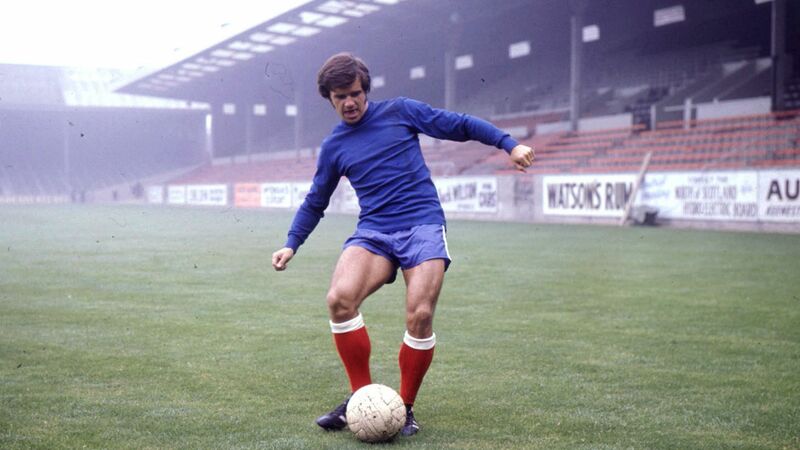 Then in the late 60s, the club again moved away from the traditional white changed strip and opted for an all blue strip with white socks; identical to that of London side Chelsea. 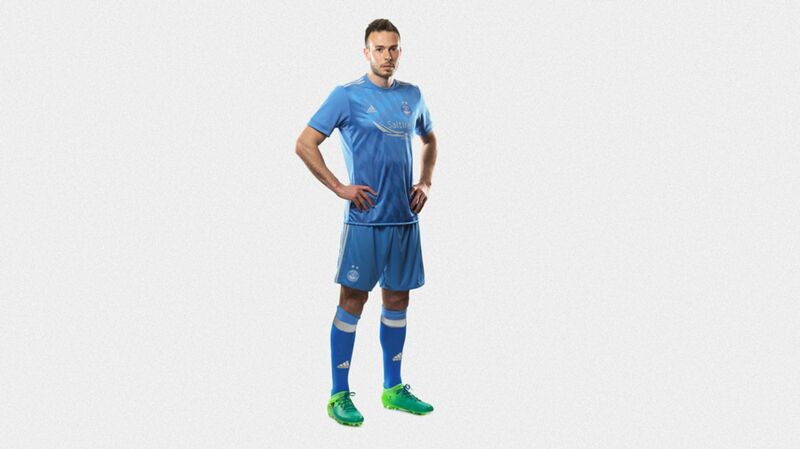 Just why Aberdeen went for that kit has never been fully explained. Was it a link to the past? Possibly. There was also a school of thought at the time that the close links forged between Aberdeen and Chelsea in the 1950's was a factor. Both sides won their respective league championships in 1955 for the first ever time and played each other after that in 1955 and again in 1974. 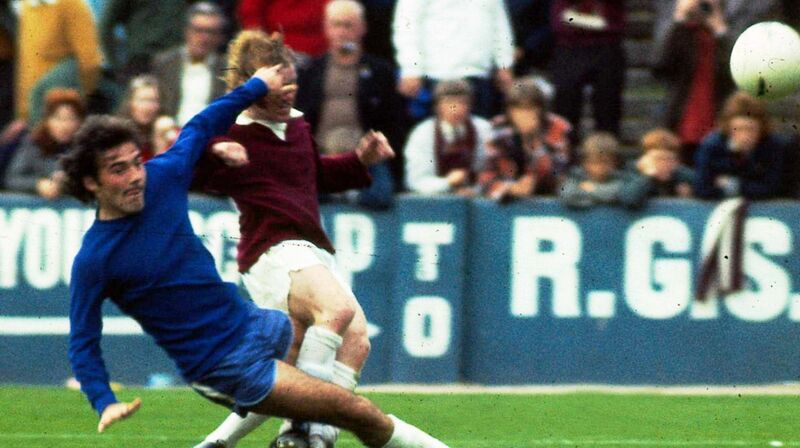 Nevertheless the 'Chelsea' kit as it was known was brought in as an alternative kit from about 1967-1975. There are various photos in the gallery showing this. 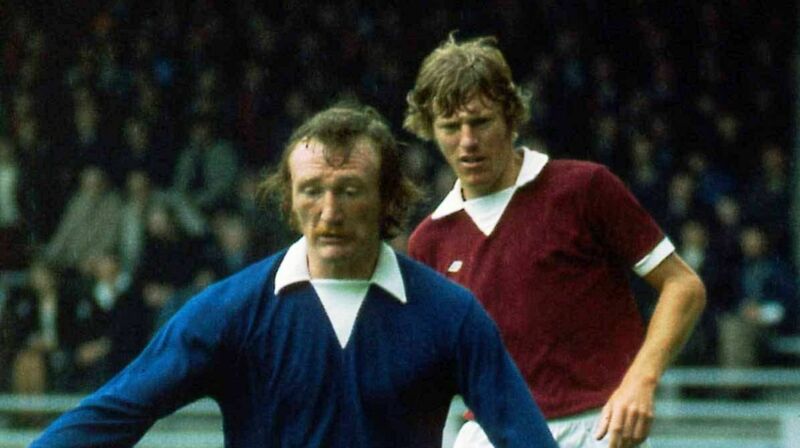 During the same period they also used an occasional changed kit with a white shirt and light blue shorts. 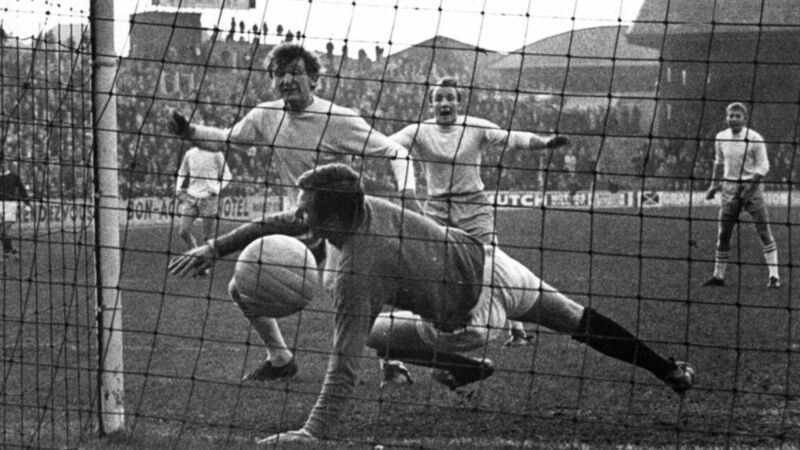 One of the photos in the gallery shows a match against Arbroath in 1968 with this preference being worn. Back then the blue strip got a mixed reception as the team ran out at Pittodrie - the traditionalists in the Main Stand wanted to only see their team play in red. In more recent times blue as colour has been used in the away kit in a nod towards our history. By the 1980s white away shirts has become the norm although some blue was incorpor ated in them, around the sleeve, neck area or on the badge. The 1987-89 white Umbro JVC away shirt had a blue crossed grid on it. Whilst that design raised a few eyebrows at the time (even during a decade when fashion was extreme…. 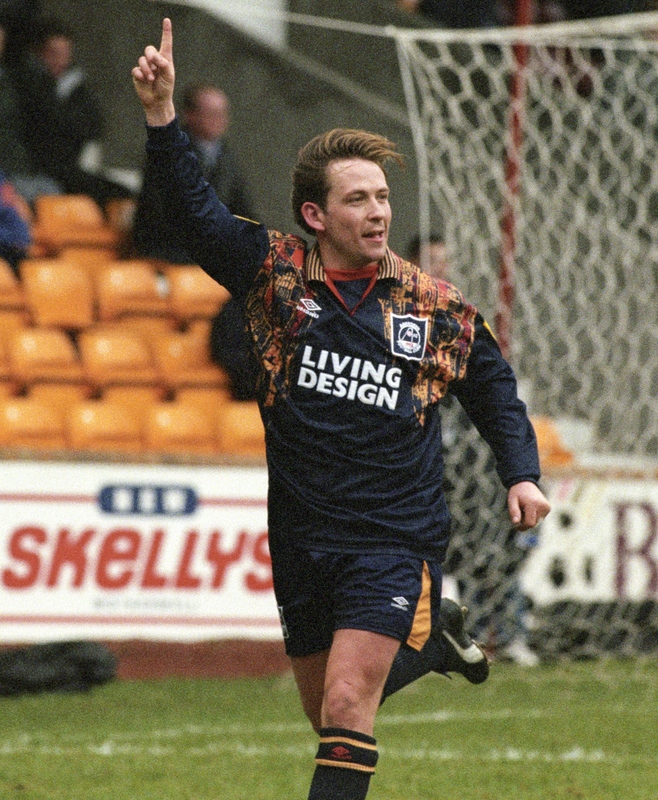 ), it was nothing compared with the reaction to the 1995 blue Umbro Northsound then Living Design away kit which certainly had a very 90s design to it! Still to this day it divides opinion. Some fans love it, others have voted it the worst kit ever. Many kits over the years have divided opinion amongst the support and will continue to do so. 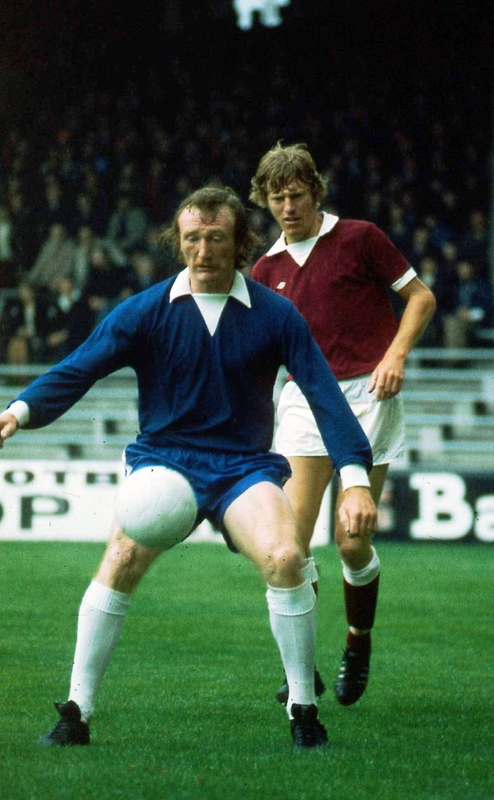 One of the most popular away strips in recent years from a commercial point of view was the blue away kit launched before the one mentioned above. 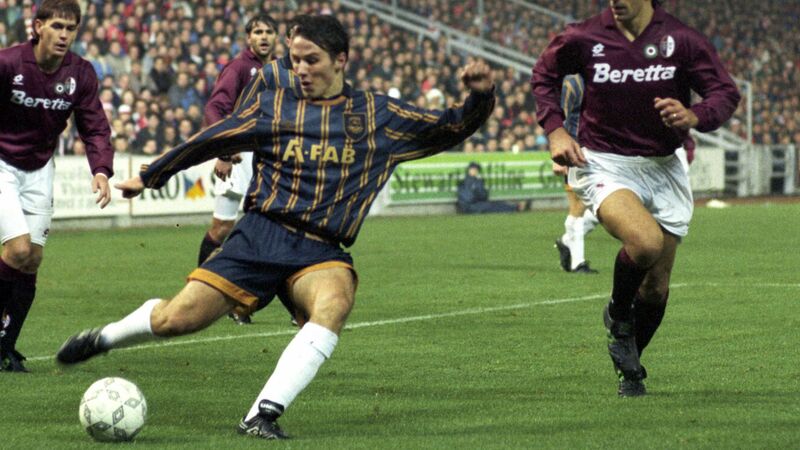 In 1993 the Umbro A-fab/Northsound sponsored shirt with the gold stripes was introduced and worn for two seasons. 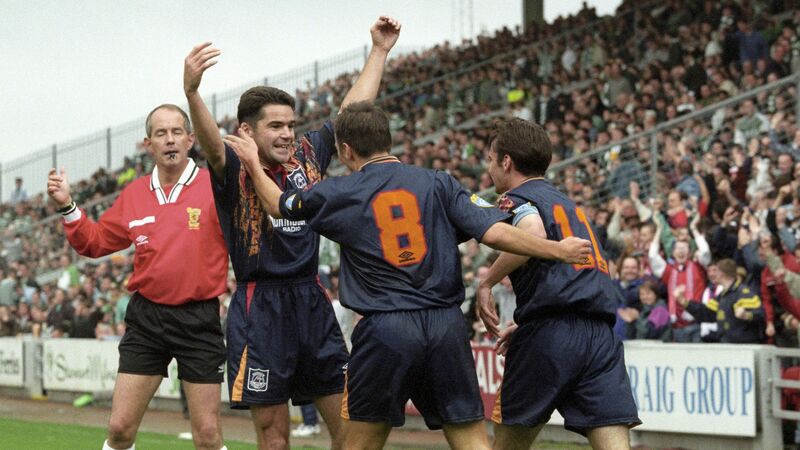 The kit conjures up memories of the last minute victory at Tynecastle in 1995 which led to the great escape that season. From a historical perspective many kits are viewed more favourably depending upon trophies won and our favourite players wearing them. 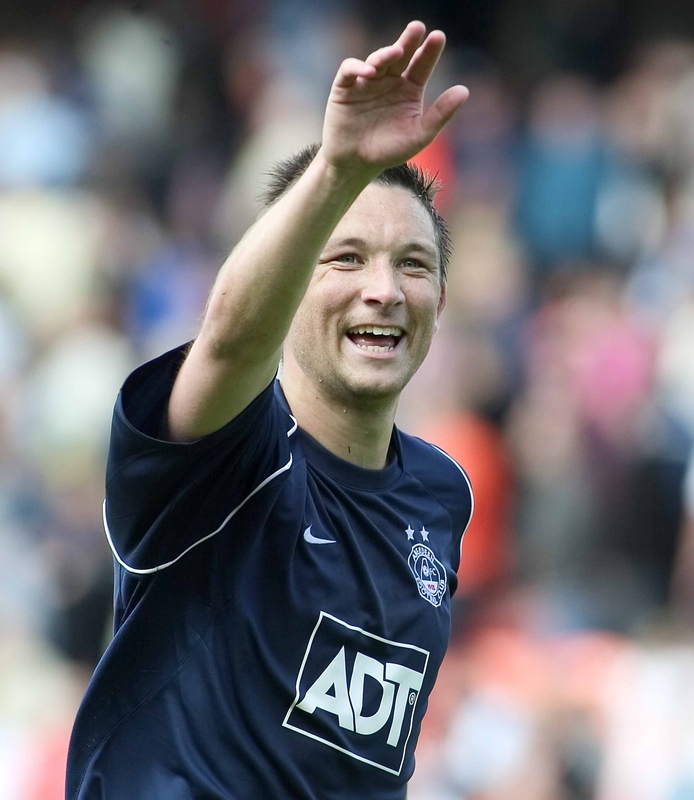 In 2005-06 Aberdeen were back in blue with the ADT Nike top which again was popular from a sales point of view but like many away tops was only worn a couple of times that season. There have also been a couple of one off occasions when blue has been worn in the kit when last minute changes had to be made. It may of happened on more than one occasion in the 1930s and 40s. 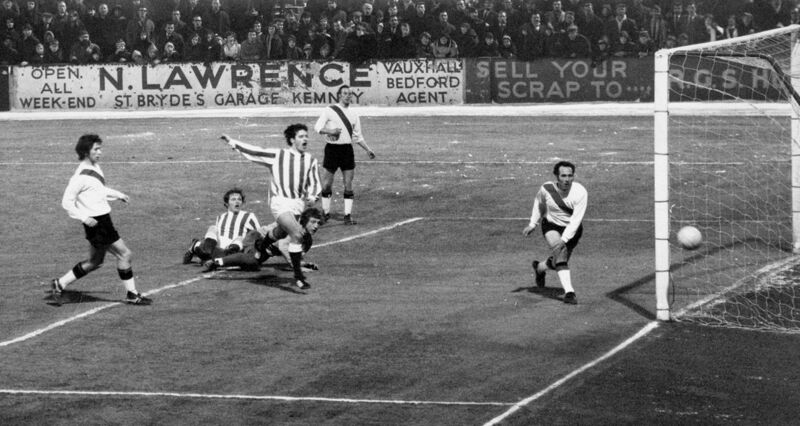 It certainly did happen in 1970 in a Scottish Cup tie against Clydebank at Pittodrie when Aberdeen were forced to wear a kit with blue and white stripes - similar to that of Kilmarnock's. 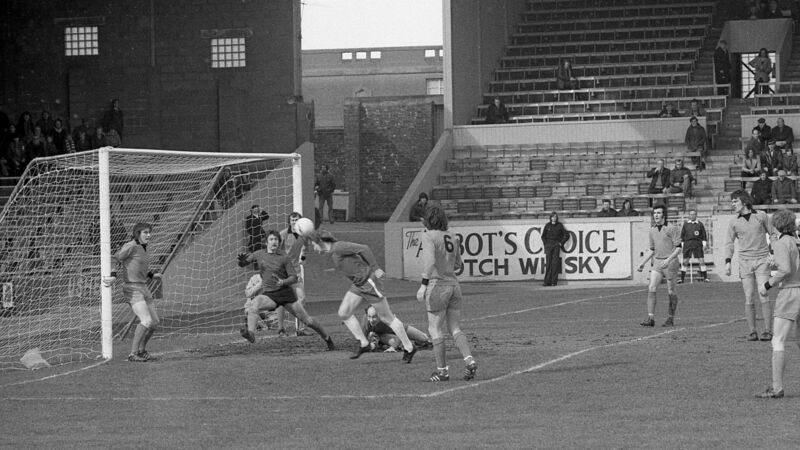 It was Martin Buchan's first ever game as Dons captain and the second Division side turned up in their white shirt with red diagonal stripe. The referee insisted on Aberdeen changing and with no second kit readily available there was a major problem minutes before kick-off. Around that time Teddy Scott would allow junior clubs evening use of the Main Stand car park so many local sides used it for training and strange kits would quite often land up in Teddy's room. Thankfully Teddy managed to find a Lads Club kit in amongst all his possessions which the Dons wore. The panic before the game maybe did not help the players performance as they were unceremoniously jeered on the full time whistle after scraping through the tie with a 2-1 win. 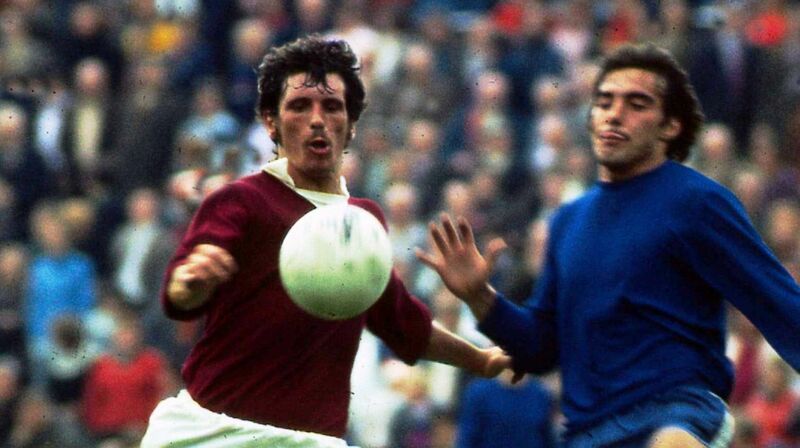 However the Dons went on to defeat Celtic two months later in the final; in their red strips of course. This season's new blue away kit ties in with the shirt which was introduced in 1967 - the fiftieth anniversary of our first season playing European football. We will have much more about this in the run up to our Euro opener on the 13th of July and in a special edition of RedMatchday.